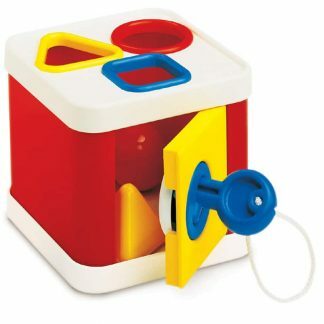 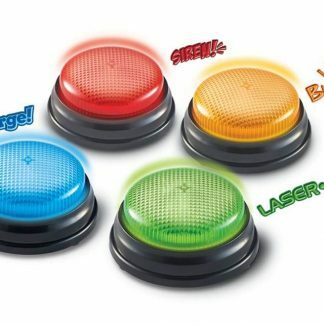 Easy to press Lights and Sounds Buzzers reward play with four distinctive sounds and bright lights. 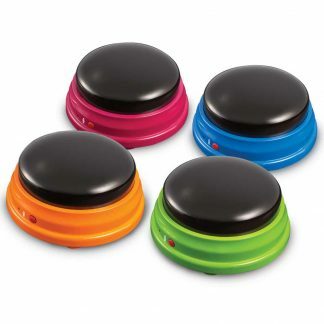 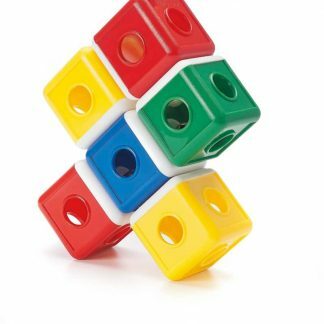 Combining sound and light, these buzzers turn any lesson into a game. 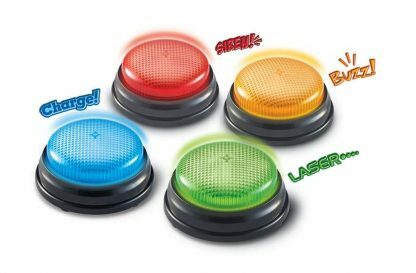 Four different light-up colors and real world sounds – siren, buzzer, laser, and “charge.” Easy to press and immediately rewarding, Lights & Sounds Buzzers work well for many with severe disabilities. 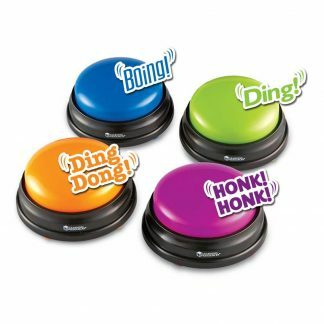 Buzzer measures 3 1/2″ diameter. 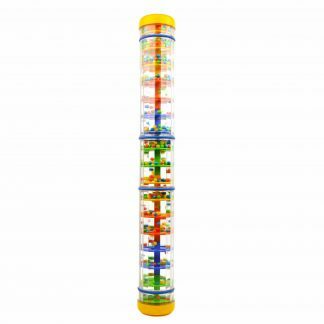 Requires two AAA batteries, not included.